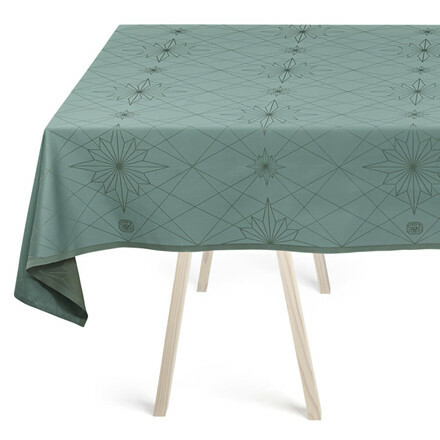 The green FINNSDÓTTIR Christmas tablecloth has a contemporary look with the star as the key, evocative design element. 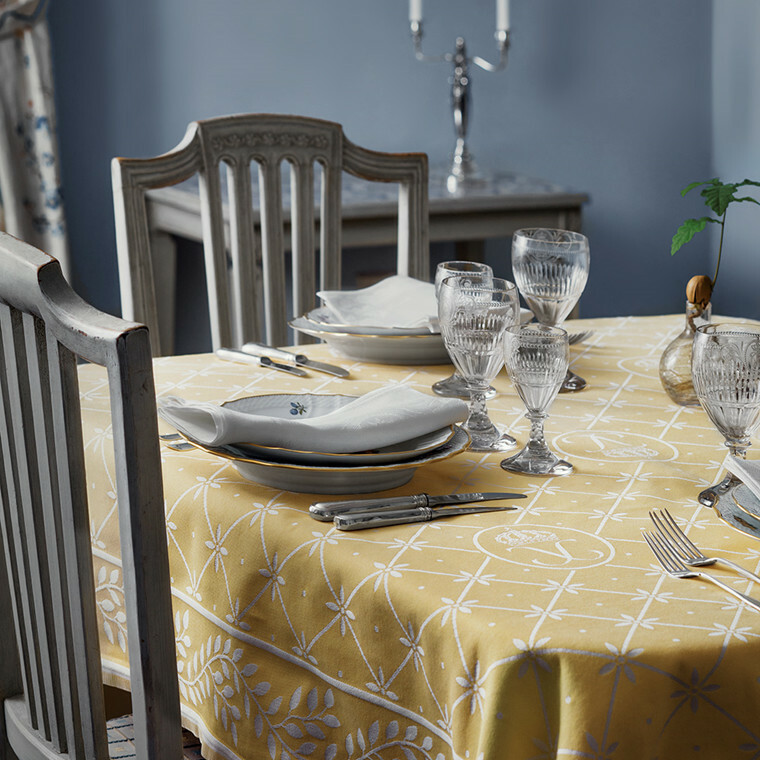 The tablecloth has a stain-resistant surface that is perfect for Christmas feasts, and the elegant expression will make it a fixture of the holiday season for many years to come. 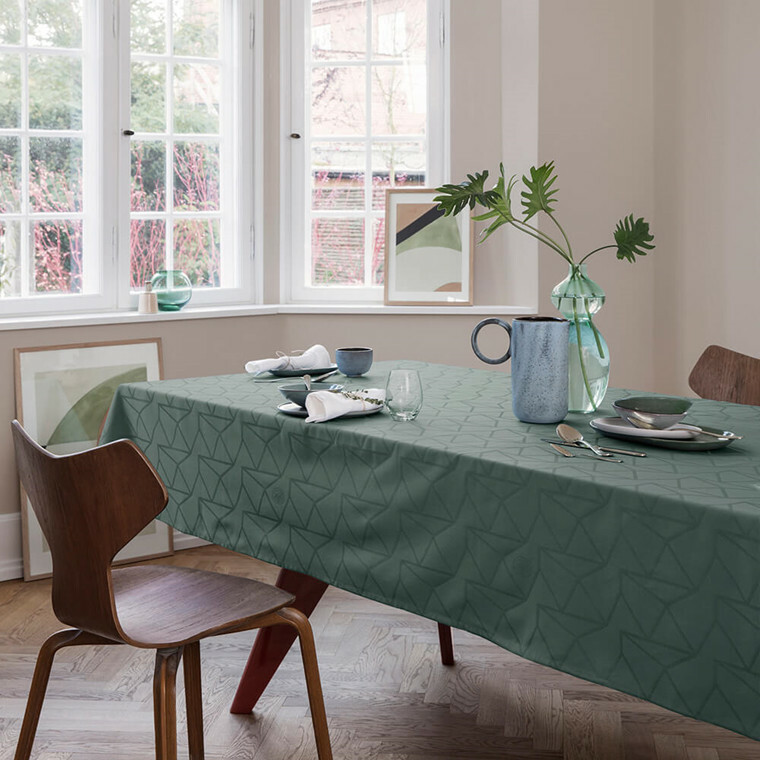 The classic tablecloth is available in a limited edition in North Atlantic green. The beautiful stars and the gorgeous colour, which has references to eucalyptus, pine needles and other green Christmas features, make the FINNSDOTTIR Christmas tablecloth a sophisticated element of your Christmas table. 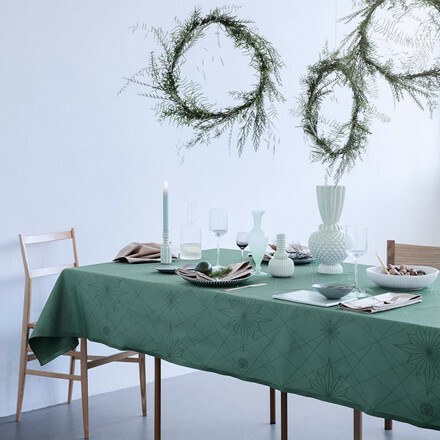 A stylish and elegant setting for cosy meals around the Christmas table, where the green base fits perfectly into the season's colour scheme, from traditional Christmas colours to a more subtle, contemporary Nordic expression. 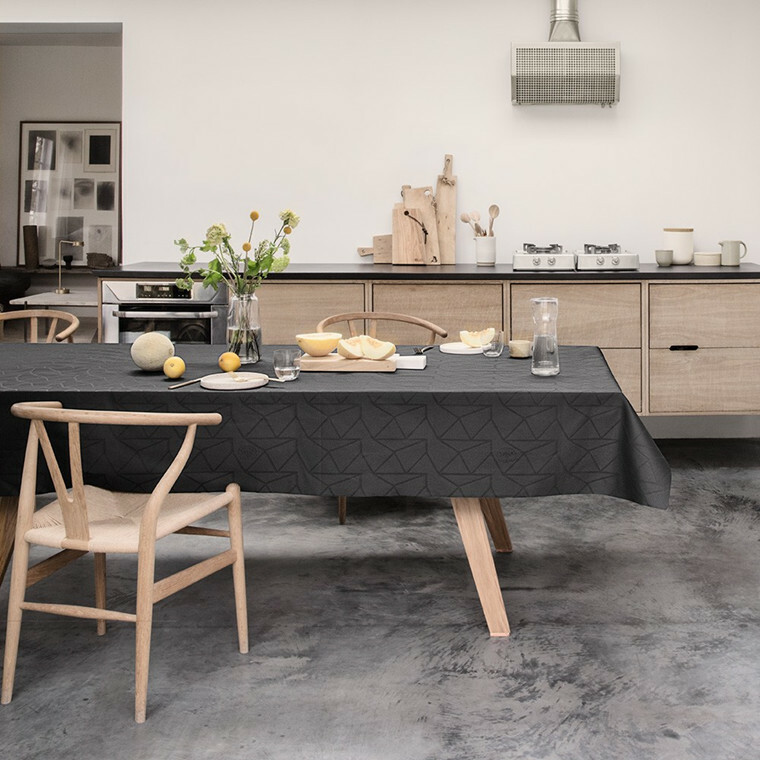 The designer is the Danish-Icelandic ceramicist Thora Finnsdottir. 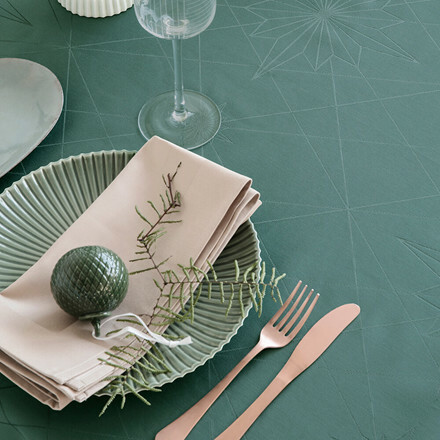 Her ceramic universe and unique design expression have been translated into woven textiles in close cooperation with Georg Jensen Damask. The tablecloth has a dynamic, playful grid which breathes new life into the universal star motif that reflects the Christmas theme. It is also available in a tea towel. Wash at 60 °C. 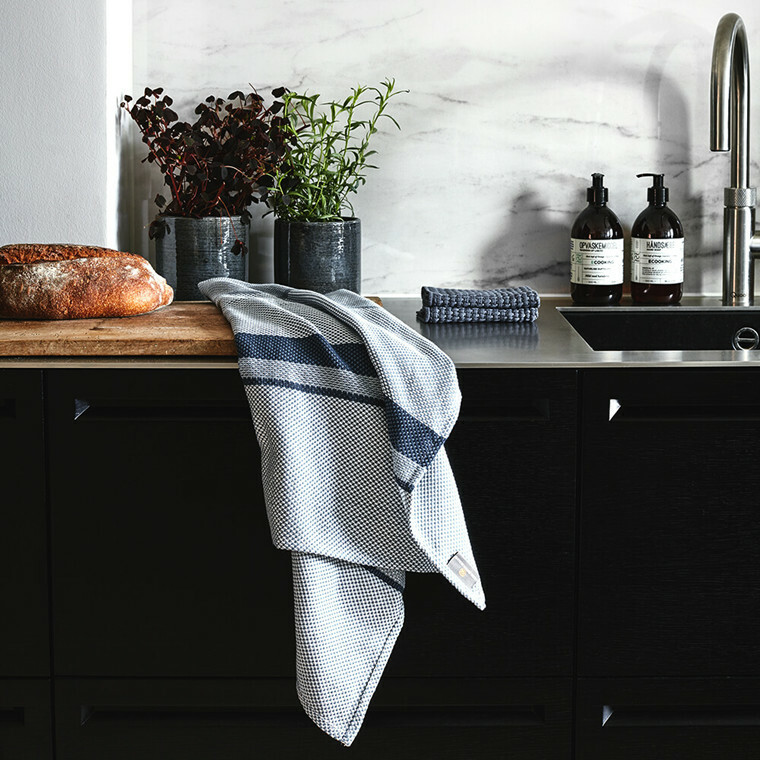 White damask products can be washed at 95 °C. 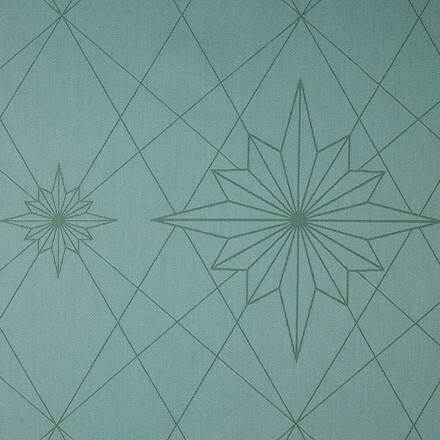 When coated the product is stain- and dirt resistant. You can tumble dry the product. 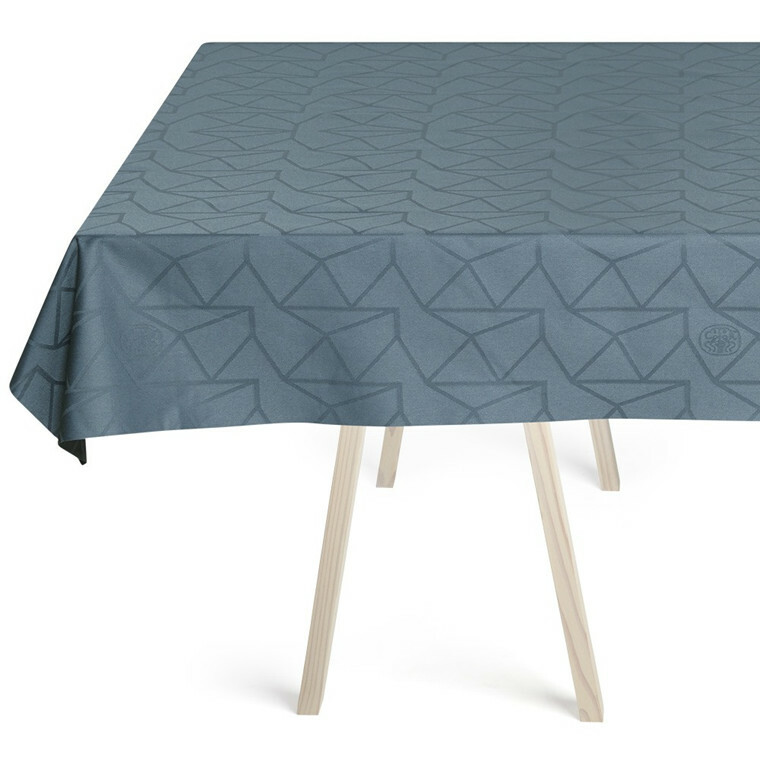 Tablecloths with coating can be used for a longer period before washing simply by wiping regularly. The coating will last between 10 to 15 washes. .
Ironing at max. 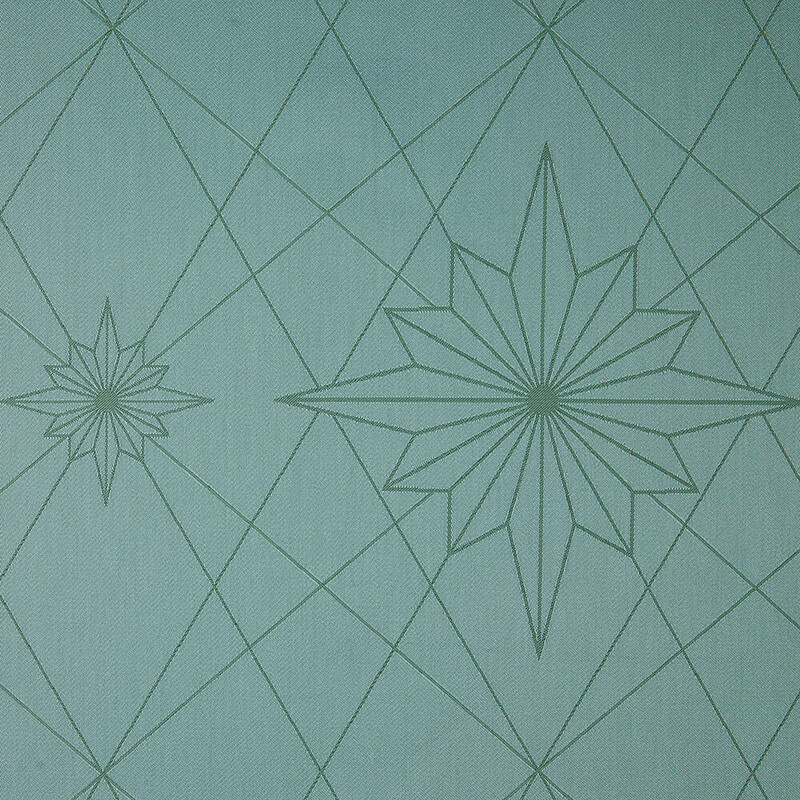 150 °C (2 dots).